Need paper plates for your 4th of July celebration? If so head to Walgreens for this deal! 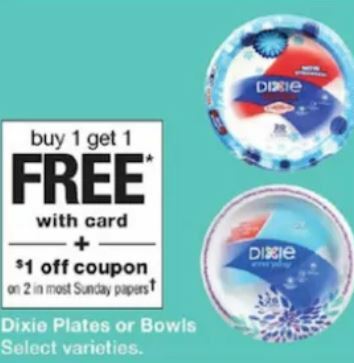 Buy 2 Dixie Plates 26-48 count (depending on the size) $3.79 Buy 1 Get 1 FREE! Final cost = $3.04 total – just $1.52 each!